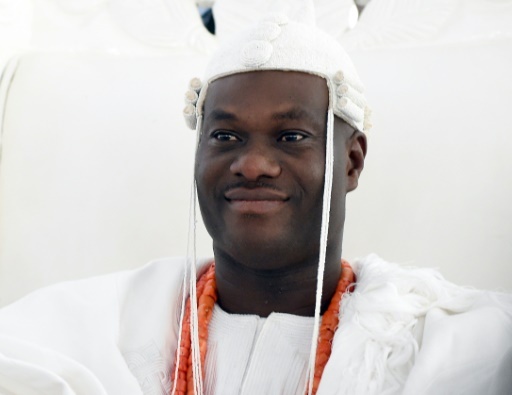 The Daily Trust of February 29 reported the new, youthful Ooni of Ife, Oba Adeyeye Ogunwusi, as having claimed that the English language is descended from Yoruba. In the aftermath of the publication of the story, I got scores of emails and social media tags requesting me to comment on the Ooni’s claim. I initially refrained from making any comments because I thought the absurdity of the claim was so transparently self-evident as to be unworthy of any serious intellectual engagement. I also thought the Ooni was probably misrepresented. For one, only the Daily Trust reported him to have made that claim. 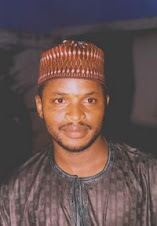 And, although Daily Trust’s correspondent in Osun State, Abdul-Hameed Oyegbade, is a native Yoruba speaker who can’t be said to have insufficient proficiency in the original language in which the Ooni spoke, nowhere in the Daily Trust report does the reader find the exact quote from where the claim of the Yoruba origin of the English language was extrapolated. All we have is a paraphrase of what the Ooni allegedly said: “He said the most spoken languages all over the world today like English had its [sic] origin in Yoruba language.” That's not good enough. But the Ooni hasn’t denied making this statement (well, perhaps he is not even aware that he has been reported to have claimed that English traces its ancestry to Yoruba), and requests for me to comment on the claim have been unceasing. So here is my take. There is not the vaguest scintilla of evidence that Yoruba and English share a common ancestry. Of course, people who subscribe to a monogenetic theory of human linguistic evolution believe that all languages have a common human ancestor, called a “proto-human language,” but when linguists map the genetic relationships between the world’s languages they don’t usually refer to the contested notions of a single origin of all human languages. In the classification of the world’s languages, Yoruba belongs to the Atlantic-Congo branch of the Niger- Congo language family—in common with many languages in west and central Africa. Niger-Congo languages are characterized by, among other features, tonality, nasality, noun class system, etc. which are absent in many other language families in the world, including English. English is a West Germanic language in the Indo-European language family, which shares ancestral provenance with many modern languages in Europe and in Asia, such as Hindi in India, Farsi in Iran, etc. Niger-Congo languages have no genetic affinities with Indo-European languages. Yoruba therefore can’t be the ancestor of English. It is true, though, that Yoruba is a much older language than English. English emerged only in the 5th century, which means it is just about 1,500 years old, although its roots go deeper to several centuries in what is now Germany and Sweden. The language sprang forth when a people called Angles (along with the Saxons and Jutes) who were so called because they lived in a part of West German seaside that formed an angle left their homeland. The inhabitants of this angular West German seaside migrated to an island known as Britain where people spoke a cluster of languages called Gaelic or Celt (also Erse or Goidelic). The West German invaders from the angular coastline who mixed with, and sometimes drove away, the autochthonous Celts decided to call their language “Aenglisch” (which later became English) and to rename the part of Britain they occupied “Aengland” (later England) in honor of “Angles,” their place of origin in West Germany. The relative recency of the English language and culture was dramatized by the recent controversial revision to British high school history curriculum, which will now teach that Africans were in Britain long before the English. This seems outrageously counter-intuitive on the surface, but it’s actually historically accurate. Here is why. The English came to Britain, as I pointed out earlier, in the 5th century. However, Britain had been governed as an outpost of the Roman Empire several hundred years earlier, and Africans had been a part of the Roman Empire since at least the 2nd century, that is, about 300 hundred years before the English set foot in Britain. 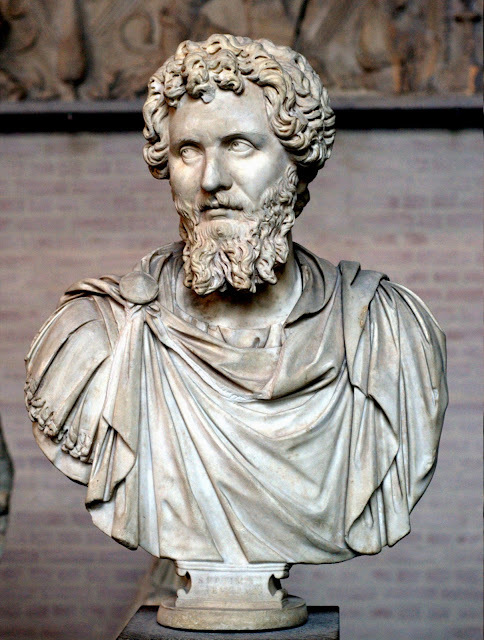 For instance, when Septimius Severus, the first African Roman emperor (who was born in what is today Libya) reigned from 193 to 211, the ancestors of the English were still in what is now Germany and Sweden. Several Africans, records show, went to Britain as colonial administrators. Many stayed back, mixed with, and became ethnically indistinguishable from the local British population. It should be pointed out, though, that “African” isn’t synonymous with “black people.” As I pointed out in previous writings, “Africa” is the name given by the Romans to what we now call Tunisia, Morocco, Libya, and Algeria. Afri" is the ancient Latin word for the blend of Berber peoples that inhabited (and still inhabit) what we today call North Africa, and "ca" is the Roman suffix for "land" or "country." So "Africa" is basically Latin for "land of the Afri." In other words, it means land of the Berbers. While Romans called Berbers “Africans,” ancient Greeks called them Libyans, Medieval Europeans called them Moors, but they call themselves some version of the word Imazighen. They converted to Christianity from about the 2nd century but became Muslim from about the late seventh century after the Umayyad invasion of the area. So, although “Africans” have lived in Britain longer than the English, those Africans aren’t black people, nor are they Yoruba. 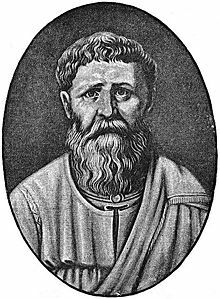 They are “white” Berbers, such as the famous Saint Augustine of Hippo (who was from what is now Algeria), regarded by many as the apotheosis of Western philosophical and theological thought. In any case, Yoruba’s own etymology shows that it’s also a relatively recent word. The word “Yoruba” was first used by a 16th-century Songhai scholar by the name of Ahmad Baba al-Massufi al-Timbukti to refer to the people of the ancient Oyo Empire, which includes only people from present-day Oyo and Osun states—and parts of Kwara and Lagos states. The name was adopted by Muhammad Bello (who later became the second Sultan of Sokoto) who referred to Oyo people as “Yariba” in his treatise on the Oyo Empire. In time, Yariba became the word by which Hausa people called the people of Oyo. The people didn’t have a common collective name for themselves; they self-identified by such names as “Oyo,” Ogbomosho,” “ife,” “Ijesa,” etc. It was Samuel Ajayi Crowther, a returnee slave who claimed to be descended from Yoruba people, who in the nineteenth century actively worked to encourage the amalgam of related linguistic groups in western Nigeria to adopt the name “Yoruba” (from Yariba) as their endonym. So an exonym (name given to a people by others) was adopted as an endonym (name by which a group self-identifies) through the instrumentality of an outsider who made himself an insider. Finally, it isn’t only that Yoruba and English have no genetic relationship, Yoruba has made little contributions to the vocabulary and structure of the English language. This is true, by the way, of all African languages. Throughout my years of research on African lexical and semantic influences in English, I have found out that the only English word that has unmistakable Yoruba origins in English is dashiki. Some linguists also claim that the expression “doll baby,” heard in the coastal areas of the American south, is a direct translation from the Yoruba omo langidi. That’s hardly a basis to claim that English is descended from Yoruba.